TULSA, Okla. (AP) – State officials say tourism is a growing economic force in Oklahoma. The Tulsa World reports visitors pumped $9 billion into the state economy over the past year. That’s a 4.4-percent increase over the year prior. State tax collections from tourism have jumped by 20 percent since 2010. Oklahoma Department of Tourism numbers show that translates to more than 100,000 jobs, with a payroll of $2.3 billion. One small town has particularly seen the payoff. 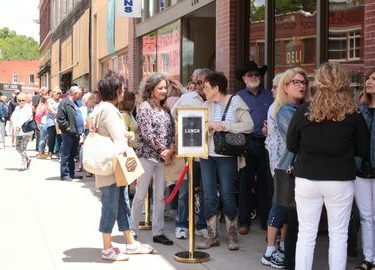 Osage County tourism director Kelly Brand says lodging tax revenue has doubled in Pawhuska since TV personality Ree Drummond, known by her brand “The Pioneer Woman,” opened her mercantile in 2016. The store-bakery-restaurant frequently draws visitors from all over the U.S. and beyond with waits of up to two hours for a table.